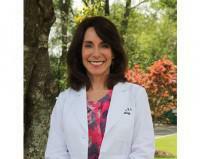 Pine Belt Dermatology & Skin Cancer Center accepts all insurances. However, there are times that an insurance company may not cover as much as a patient needs, or times when a patient is purchasing our cosmetic services (most of which are not covered by insurances). Regardless of the reason, or the amount that a service costs, there is an avenue available for patients to still purchase our health services without having to worry about bearing the full burden of out-of-pocket payments. PBD is a provider retailer for CareCredit, and you can apply for it in our clinics or through our website. For thirty years, CareCredit has helped patients pay for out-of-pocket health expenses. This service can be used as many times as deemed necessary by the patients to help them manage their health expenditures that may not be covered by insurances. Simply put, CareCredit is essentially a healthcare credit card that patients can use for health services whenever they don’t have the cash to front service payments (fun fact: it can be used for dental & veterinarian expenditures as well). While the service comes in the form of a credit card, it offers special financing options that are not available through traditional credit card vendors. No interest if paid within 6, 12, 18, or 24 months (this depends on the promotional period). Purchases $200 or more qualify. CareCredit does offer extensions for longer term healthcare financing (24, 36, 48, and 60 months). Purchases for $1,000 qualify for 24, 36, and 48 services. Purchases $2,500 or more qualify for the 60 month service. PBD encourages patients to utilize this service if they’re self-payers or if their insurance requires them to pay a large co-payment or deductible. PBD’s philosophy is centered on personalized and quality care for each patient, and often times what is perceived as “quality” hinges, in part, on affordability. In an effort to make our services more affordable for our patients we became a CareCredit provider.